The Nitecore MH12GTS is the upgraded version of the popular tactical MH12GT. It features and upgraded LED, 1800 lumen max output, microUSB charging, and an included 18650 battery. Thanks to the NitecoreStore.com for sending this to me to take a look at. This light comes in a Nitecore standard black and yellow retail box. On the outside there is quite a bit of info on the light. On the inside the light sits in a plastic tray with all the accessories and manual underneath. Included accessories are the light itself, lanyard, microUSB cable, pocket clip, tactical ring, NL1835HP 3500mAh button top battery extra orings and a velcro pouch. This uses a dual tube style construction, from what I can tell the inner tube is not removable. Threads are a steep ACME cut and unanodized at top. The tactical ring on this light is threaded. I like this and means that it won’t’ freely spin like happens on many other light designs with a similar ring.There is an oring above the tactical ring.The body tube has smooth knurling but has horizontal lines milled in to break this up and then for the flats where the labels are they are milled a decent amount lower. This provides a bit more grip. The body tube looks like it’s removable but I can’t get it to budge. Further up the light has an anti rotation ring that’s small. The head of the light has minimal heat syncing and heat hasn’t been a major issue here because the light does step down. The button is metal and has a clear Status indicator ring around it with a blue LED underneath. The head is pretty smooth. The bezel is smooth and the glass is anti reflective coated. The reflector is fairly deep for a 1 inch light and the LED is nicely centered. The pocket clip on this light slots in right below the tail clip on the body tube. My first clip didn’t fit very close to the body of the light. I contacted Nitecore store and they promptly sent me a new one which was a much better and closer fit. 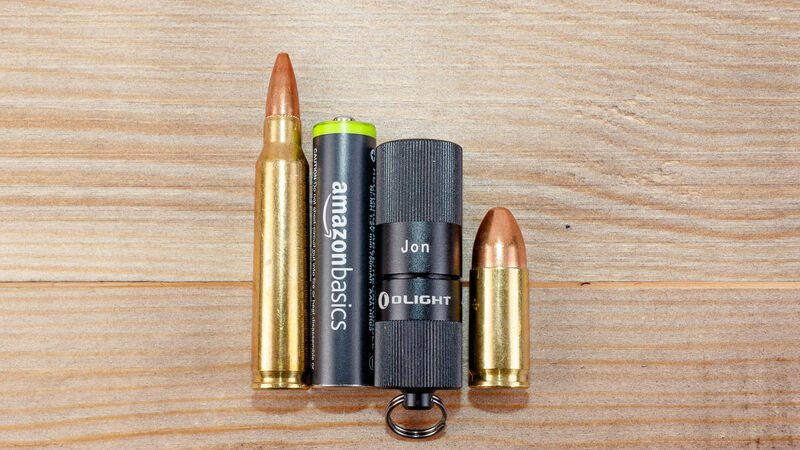 I would prefer a clip that allows for deeper carry personally but this seems to not be what is done on most lights similar to this one. I measured length at 144mm. Maximum diameter is 35mm at the tactical ring, max diameter of the body is 26mm. Weight with the battery and pocket clip is 153.1 grams. 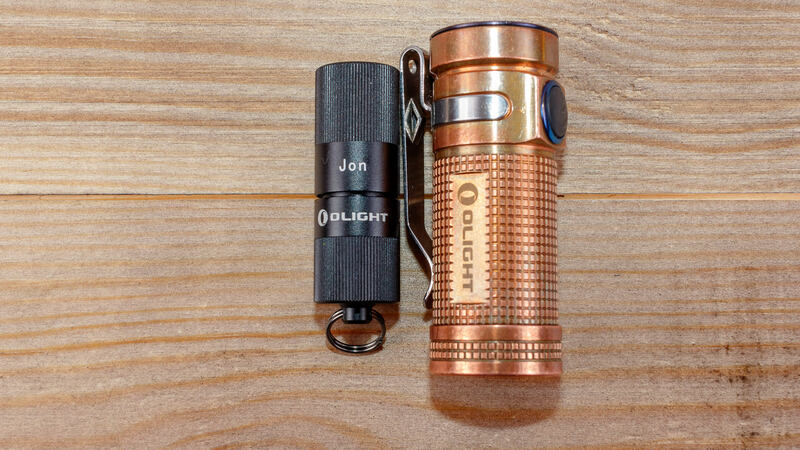 Size comparison with the Olight M2R Warrior is that they are very similar in diameter. The light is shorter at about 15mm. The nitecore is slightly lighter. This light uses a Cree XHP35 HD LED in cool white. It’s capable of producing upto 1800 lumens in turbo mode. It throws pretty well due to that deep reflector. Overall the beam has a hot center and about 4 distinct rings. It’s not a very smooth transition to spill. The brightest hot spot has a bit of discoloration in the very center. This is easily noticed straight on against a surface that’s all the same texture and color such as drywall or concrete. It’s noticeable at distance as well. This light is capable of running on 18650’s, CR123a, and RCR123A. 2× 18350’s is not recommended due to too high of voltage. To access Turbo you need cells capable of 8A or more. Total runtime with the included 3500mAh battery was 142 minutes. Turbo run time starts decreasing almost immediately. It has a run time of about 3 minutes. When the light steps down you are getting about 45% relative output for about 20 minutes. Between 20 minutes and 142 minutes the light is pretty stable between 45% and 35% relative output for 120 minutes. Heat is pretty well managed. One thing worth noting is that the manual says “When using an IMR 18650 battery and the power level is low please stop using the product when the power level is low to prevent damage to the battery. An IMR battery is what the light ships with. This suggests that the light doesn’t have low voltage protection for this type of battery built in, so using protected cells would be a good idea. Lucky the one that ships with the light is protected. The tail switch on this light functions as only an on and off. It takes a decent amount of force to press, I think this is good for a tactical light. For normal operation this light has 5 modes, UltraLow, Low, Mid, High, and Turbo. When the light is on the mode button cycles through them. Memory mode is strong on this light and works everywhere except strobe. Momentary access to turbo is possible if the light is on by holding the Mode button for 1 second, if you let off it returns to what mode you were in previously. Strobe on this light isn’t at just one rate. It’s pretty fast and then alternates between fast and really fast. I like it, I just wish strobe wasn’t so easy to access with just a double click of the mode button. When in st4robe you can also get to Beacon or SOS by long pressing on the mode button. To exit a special mode just short press on the mode button to return where you were previously. Direct access to moonlight mode can be accessed with the light is off by pressing and holding the mode button, while actuating the tail button, so it’s a 2 hand operation. This light has recharging via microUSB on the tail cap of the light. There is a rubber flap that protects the port from dust and moisture. The port is also conformally coated, so it’s protected from moisture even if the flap is open. To test this I dunked it in water and then blew some air in the port with my mouth and proceeded to charge it without issue. There is also a small blue LED built into the tail cap to show charging status. Blinking blue means it’s charging, solid blue means it’s full. The disappointing thing about charging via USB on this light is the speed. I saw charging speeds at it highest at only 0.64A. So for the included 3500mAh battery that means a full charge took me 10 hours, 9 minutes. This is really slow in 2018 for a premium light. I would expect a minimum of 1A these days, if not closer to 2A to cut down on the charging time substantially. Slow onboard Recharging .64A means using onboard recharging takes forever. Beam throws well but has a slightly more dim area in the direct center. Not a big fan of double click to strobe, I would prefer double click of the mode button to go to turbo and triple click for strobe. The Nitecore MH12GTS is a pretty nice tactical style light with a good amount of throw for its compact size. The UI takes a little while to get used to but if this was a light you used often I think most would like it. I like how it’s able to use a pretty wide variety of power, including primary and flat top unprotected 18650’s. I like that Nitecore has put a lot of effort into making the USB port waterproof. I can get past the beam irregularities in normal everyday use, but the slow charging time is hard to live with on a premium light. Overall it’s a nice showing here from Nitecore and one that will be especially useful for a nice throw in a small diameter light. For the past few years forum members have been designing a huge thrower flashlight called the BLF GT, an 8× 18650 thrower. Lumintop was the manufacturer, and it was a great success, but very pricy. Lumintop decided to make a much more reasonable, smaller, and more affordable version which I have here today to review. The Lumintop GT mini takes what was learned from the BLF GT and shrinks it to a light capable of 1200 lumens and a throw out to 700+ meters, in an easy one handed pocketable light. Thanks to Banggood for sending this to me to take a look at. Lumintop typically has nice packaging and the GT mini, is no different. The brown box had an outer brown cardboard sleeve with a line drawing of the GT mini, the inner box just has the Lumintop name on it. No info on this light is listed externally other then if it’s Neutral or Cool white with a sticker on the end (Probably from Bagngoogd). Inside the light is packed in form fitting white foam. Accessories that came with my light were 2 extra o’rings and a purple unbranded lanyard. I prefer the orange lanyards that Lumintop used to use. A short 18350 tube is also available for this light. It’s a $5 extra to get it separately or get order it from the beginning for a few extra dollars. Lumintop does a nice job with their lights and this is no different. It’s made from aluminium that’s been hard anodized in a near mat black. Threads feel nice, although they were dry from the factory. The tail cap is flat, but indented in the center. It looks like you could fit a thin magnet in if you desired. The lanyard hole is small as well but that’s not a major issue. The tail cap has 6 small flat areas to aid in grip. The light includes dual springs in the tail cap. Threads are fine, and have a slightly flat profile on top. The body tube has flat diamond knurling that’s medium grip. It has some concentric areas turned in it to break up it into 4 blocks, and then 4 flats milled into it for writing and orientation. The spring on the head is short, stiff, and single :). There isn’t any physical reverse polarity protection on the head. The head itself has a series of rings with varying degrees of depth of cut to dissipate heat. The button has a silicone rubber feel to it and is slightly raised. Underneath is a LED that has various functions. The rest of the head is relatively smooth with small cuts for style near the edge. The reflector is deep and smooth. The LED is nicely centered. The front bezel is lightly crenelated and is not glued on. The lens is anti reflective coated. My only build complaint is that the flats on the body tube, where the labels are for the light don’t line up with the power button when screwed all the way down so that the light is operational. Aesthetically this bothers me, but it’s also a small operational thing as well because I like the flats to line up with the button because it’s easier to find the button in the dark. Since this light by default has a lit up button it’s less of an issue. It seems not all the lights are affected by this by reading on Budget Light Forums. I measured length at 132mm, width at it’s largest at 50mm, and at it’s narrowest 23.3mm. Weight with an 18650 battery is 200 Grams. The light is rated for IPX68. In comparison to other throwers, The GT mini is the same length as the Thrunite Catapult V6 but the head is head and body tube are smaller. Compared with the Convoy C8+, the GT mini is a good deal shorter (no tail switch), and has a slightly larger sized head. This light uses a Cree XPL HI LED and is available in cool or neutral white. Mine that I am testing here is in neutral white which is my preference. This is pretty warm for neutral white which I don’t mind. Probably around 3800k or warmer. It uses a FET driver to achieve around 1200 maximum lumens in Turbo mode. For runtime I used a 3400mAh Protected Thrunite battery. Step Down was pretty fast and pretty agressive on this light. It really stepped down pretty low and quickly after 2.5 minutes. It stepped down again at 3.5 minutes to 10% relative output. This is great for thermal and overall runtime but less practical for actual use. It requires you to either bump up again repeatedly to get brighter levels. Overall runtime was over 300 minutes but this was at about 10% relative output. Heat was not too bad, the head got to about 105F. This light uses the popular NarsilM V1.3 firmware. I won’t pretend to be the expert on this firmware as it offers a lot of options. It’s a firmware designed by enthusiasts for enthusiasts. What I like about it on this light is that it’s ramping, meaning the light doesn’t have predefined levels by default. This can be switched if you don’t like ramping but I will stick with the default for this review. The manual does a nice job of explaining the firmware. Full ramp from low to high is about 2.5 seconds. The light flashes at the top and bottom to let you know where it is. It has a shortcut to turbo if you double click. If you double click again from turbo you get into the strobing modes, and double click to exit. The switch has a green LED under it, this is on when the light is off, but not when the light is on. This can be turned off with turning the light on and off in rapid succession. Battery status, and lockout are also available, as well as momentary. It really is pretty much all here including setting the UI back to factory default. Make sure to give the manual a read or two to make sure you have a grasp of the capabilities. The Neutral white version is a pretty warm tint which I like. Lumintop have a nice build and packaging quality, on par with an Olight or Acebeam. Small 18350 tube available and included in some versions of this light. The body tube has flats, with labels and they don’t line up with the button, this is annoying to my “OCD”. Large head, small body tube makes it a little less ergonomic. I imaging this is even more so with a 18350 tube (Disappointed on isn’t included). At the current sale price (With coupon) this is a high value thrower light. 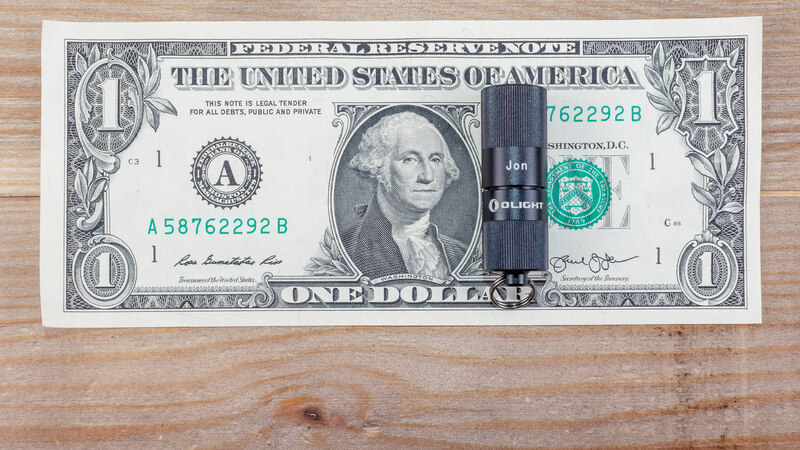 Unlike it’s big brother the BLF GT, the Mini is affordable, and easily fits in one hand. It offers great firmware, good build quality, and a long runtime even though it steps down a little fast for my liking. With the 18650 body tube it fits fairly well in the hand, but I can imagine the 18350 tube will be a little weird to hold on to, and get fairly warm to hold. That said I will probably buy one because of the novelty factor on my next Banggood order. With all the new throwers out this year, the GT mini ranks high on my list because of it’s firmware and neutral white options and that its been heavily influenced by enthusiasts. Today I have a Convoy C8+ in the new Sand color to take a look at. The C8+ has a deep smooth reflector and works as a great budget thrower. For those of you who don’t know Convoy they have a reputation of providing great quality lights for very low prices. This sand colored C8+ was provided to me by Gearbest Link) to take a look at and I thank them for that. Packaging is pretty much non existent. My C8+ came in a white cardboard box that got got crushed a bit during shipping.The light doesn’t come with any accessories other than a lanyard that was already attached. Nothing on mine was tight either so make sure you tighten up the front lens and body/tail caps prior to first use. The C8+ is made of aluminium and is anodized with a color they call sand but it’s pretty close to the Cerakote color Burnt Bronze which I happen to really like. Starting at the tail cap you have a black rubber clicky button. It does full click and momentary. There are lanyard holes on both sides and the light will tail stand. Threads are ACME cut and were lightly greased on the rear. On the body tube the knurling is pretty deep and aggressive. I like the diamond pattern. The head itself has lots of cooling fins milled into it. It gets larger to accommodate the large and deep reflector which is what gives allows this light to throw. The front bezel has very shallow crenulations. It’s very easy to remove, allowing the smooth reflector to come out and access to the emitter circuit board. This is an easy light to mod. In the hand I find it’s mostly comfortable. It’s a little short with the larger head unless you grip up on it, it works pretty well in a cigar grip. Length was measured at 142mm, diameter of the body tube is 25.2mm, diameter of the head is 44.5mm and empty weight is 145 grams. No claims about water rating was made but it has orings everywhere I would expect so it should be pretty decent. It survived a brief sink test. This light uses a Cree XPL HI LED that’s available in 4 different color tints. (6500k, 5000k, 4200k, 3000k). Mine is in 4200K which I quite like as a neutral white. I don’t notice any tint rainbow to it. Beam pattern is consistent with a deep reflector thrower. Small, hot center, with minimal spill and a hard cut off. High mode is listed as 1100 Lumens. For my runtime test I used a 3500mAh NCR18650B battery. Light fall off started to occur pretty fast and it was a very linear drain for the first 80 minutes down to about 45% relative output. At this point the light started taking larger decreases down to where it shut off at 130 minutes. This light is using revised UI from Convoy. It’s a little hard to describe in words as there are several modes, so ill include the Diagram that Convoy Publishes. The light has 12 mode groups that you can switch the light into by entering configuration mode by doing a bunch (10+ taps or until the light stops turning on and you will be in config mode) By default from what I can tell I believe the light I received ships in mode 1 which contains 0.1%, 1%, 10%, 35%, 100%, Strobe (Fast then Slower, then fast), Biking (Steady on at about 50%, with super fast strobe every second), and then a battery check that counts out voltage. The light does have memory and momentary. The good thing is between the 12 modes offered there is just about something for everyone and it’s not too hard to switch if you have the directions handy. I love that the C8+ comes in a wide variety of tint options, make sure to pay attention when ordering. It’s great value for the money, for under $30 shipped it might be the best thrower for the money. Moddable – Lots of mods exist for Convoy lights, I think I will do the glowing tail cap for this one. While I love the new “sand” or burnt bronze color it does feel a little chalky to the touch, and I know some people dislike this. Barebones packaging, no extras, or manuals included. The Convoy C8+ is a great bargain 1× 18650 cell thrower. For under $30 shipped to the USA it’s hard to find a better thrower with as many tints as the Convoy C8+ offers and as many operating modes. I love that it comes in 2 main tints (Black and Sand) and that the light is pretty moddable. This Convoy is pretty well built and is a nice value. If you don’t mind waiting for overseas shipping this is a great value thrower. Up Next I have several lights (Thrower, Headlamp, and more) so make sure you are subscribed to my Youtube Channel so you won’t miss the next review. The Nitecore EC22 is a single emitter small diameter 18650 light with a rotary switch instead of a more traditional button. This allows Nitecore to make a light that instead of having preset modes make it infinitely variable and ramp via the smooth rotary on the front of the light. Thanks to Nitecorestore.com for sending this to me to take a look at. The packaging is Nitecore’s standard Black and Yellow retail hanging box, with pictures of the light, and details on the back. Inside the box is a plastic tray with the light itself, holster, lanyard and extra origin. The holster here is a more basic model and it almost looks like it was designed for a shorter light. The EC22 fits but ther just isn’t much room for the velcro to latch. It does have a D ring and velcro belt loop. 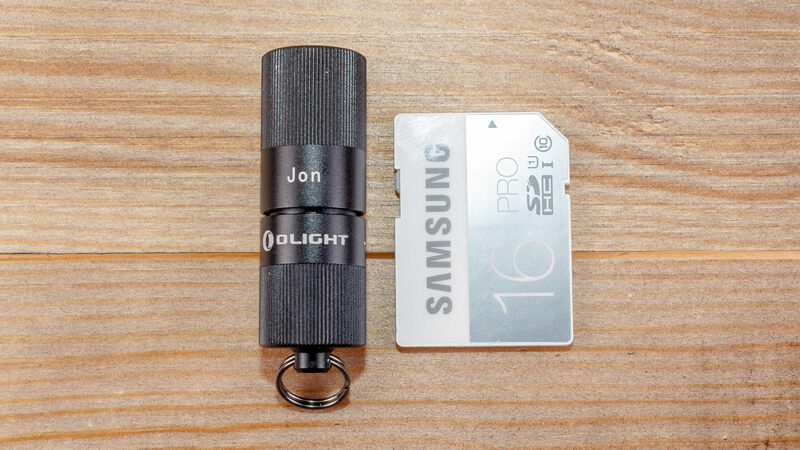 This light is made from nicely milled aluminium and hard anodized black. It’s pretty narrow for an 18650 light. There is some fairly smooth knurling on the tail cap and body tube. The tail cap has a large recessed flat that would have fit a magnet or tail switch if Nitecore chose to do so. However in the EC22 it was just left blank with a large lanyard hold for easy of mounting. The clip is “Titanium plated stainless steel” I believe this is most likely a TiN based PVD coating used to increase scratch resistance. The clip can attach at the rear of the light for tip down carry or closer to the middle for use on a hat as a headlamp. I wish the retention was a bit tighter out of the box but you can tighten the clip up by bending it if you wish. Closer to the front there is a 6 sided hex anti roll ring. At the front there is the rotary switch in machined aluminum. It could use a bit more grip in my opinion as it’s a bit stiff. Threads are square cut and nicely greased with an oring on each side of the body tube. Maybe I am a little OCD but for me on lights with a milled flat on the body tube with writing it should line up with the button. Unfortunately my example of the EC22 suffers a bit in this regard because to have it line up with the button it won’t make contact. It requires just a touch more rotation to make contact and this makes the flats off axis. The EC22 is thinnest at 25.5mm and thickest at 26mm. Overall length is 128.7mm. Weight with a Nitecore IMR 3100mah battery is 126.8G. Water rating is IPX8. The UI of this light is very simple due to the linear rotary switch near the front. There is a strong detent on the switch and when you turn it on or off it makes a click that you can hear and feel. The rotary switch rotates clockwise, in my right hand this feels pretty natural to use your thumb and push back. Either way it’s a smooth operation but has decent resistance. I do wish it had a bit more aggressive grip on it due to its resistance. It can be turned on with one finger but is easier with two. I don’t see this light coming on accidentally in your pocket or bag. The light starts in the lowest output it can do which is below a lumen and the further you advance the rotary switch the brighter it gets, do the reverse to turn it off. From off to full is 270 degrees of rotation. There is no extra modes on this light, shortcuts, or memory mode. This makes it really easy to use. LED + Runtimes + Temps This light uses a Cree XP-L HD V6 LED in cool white. It’s pretty standard cool white, not too cool and not warm. I don’t notice any significant cree rainbow in this emitter. The reflector is smooth and the lens is anti reflective coated. This light will work with button top batteries and flat tops. It’s nice to see Nitecore evolve into using both types on several recent lights. The beam does have some artifacts at the 5-6ft range. I think the bezel causes some distortion as well as the LED Die itself as its kind of square distortions. The reflector itself doesn’t get that close to the LED itself which could be part of it. At further distances it’s not as noticeable. I did my runtime testing with a Nitecore branded IMR 3100mah button top protected battery. As you can see from the graph the light does have active thermal controls. You can see this as the light ramps down from turbo it dips down, cools off and then for a short time increases in brightness before settling in to about 55% of relative output for a solid 80 minutes. The next 25 minutes the light decreases significantly in output smoothly as the battery runs out. Total runtime of usable light with this 3100mah battery is just at 160 lumens which is quite good. Longer runtimes can be expected for lower outputs as well. Heat was not an issue. Really easy to use interface once you know which direction the rotary switch operates. Large lanyard hole and tail standing design. Can use flat tops and button top batteries. Body tube flats don’t line up with the button on my example. Pocket clip should have better retention and I would prefer deeper carry. 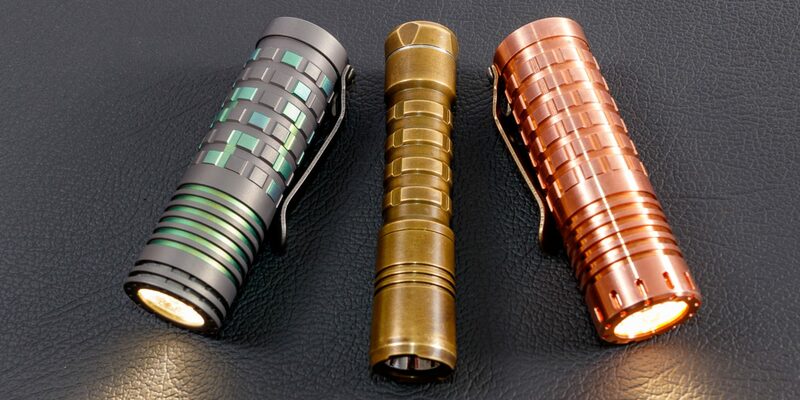 Nitecore isn’t afraid to try new things with their flashlight designs. For me a rotary switch like this is new and I like it. It’s a little stiff but I expect this to loosen up a bit. I really like the infinitely variable light output this has and I think a rotary switch like this is a decent way to do this. It makes its operation very logical. I think if Nitecore wanted to make a “Tactical” model they could add an electronic switch to the tail cap to add some shortcuts but this would complicate the UI. If you have not tried a light with ramping output it’s quickly becoming one of my favorite features when done right. The output beam isn’t as smooth as I would like to see but I don’t think a non flashaholic would notice this. For me it’s not a deal breaker for what is otherwise a nice flashlight. Thanks again to Nitecorestore.com for sending this to me to evaluate.